Anne what was the cabin number please? The cabin number was 2121 I hope that helps you. 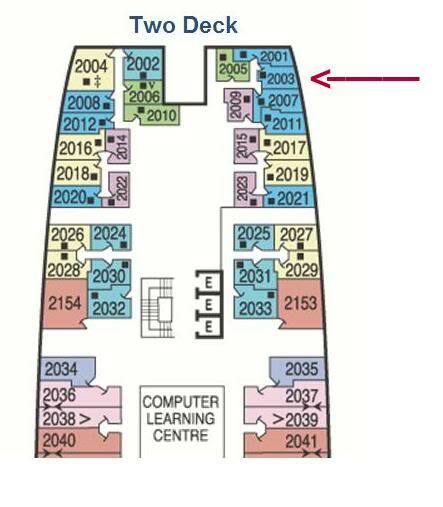 Thought I recognised the layout.. we stayed in the same cabin in 2007. Although the decor has changed the basic layout and fitments remain. Attached is the only picture I have, my wife enjoying the complimentary bubbly and immediately focusing on the important jobs, working out when the shops open! 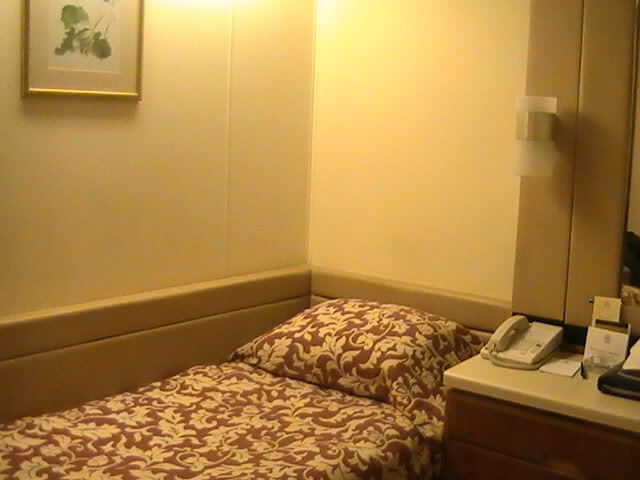 Notably this cabin has the largest square footage in its class hence the popularity. Here is a cabin on two deck around 1978. It is furnished in the way that was originally intended with it mod furniture. I have to admit this is my fav style. The company where I work has recently installed identical tables like the white one shown here. The sofa, and chair at the desk/ bureau is just fantastic. It's hard to tell but the carpeting is a midnight blue. 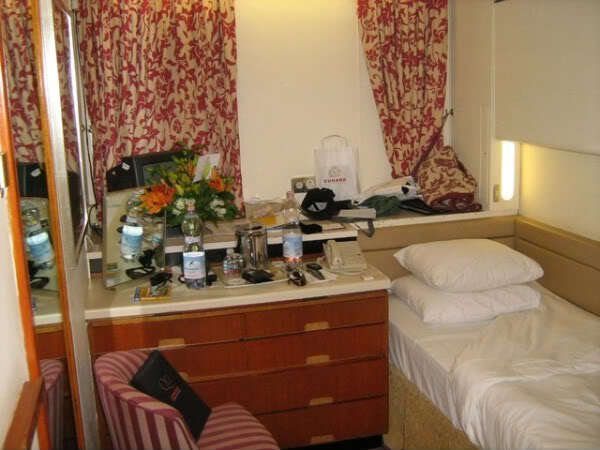 For the photo they have the cabin lit brightly, but with soft lighting, say late at night this room is just a stunning example of QE2's modern elegance. One question though - if anyone knows... what type of wood panelling is that? cedar? Here are three different photos of one of the suites from about the late 70s. Angle #2 with the drapes closed. 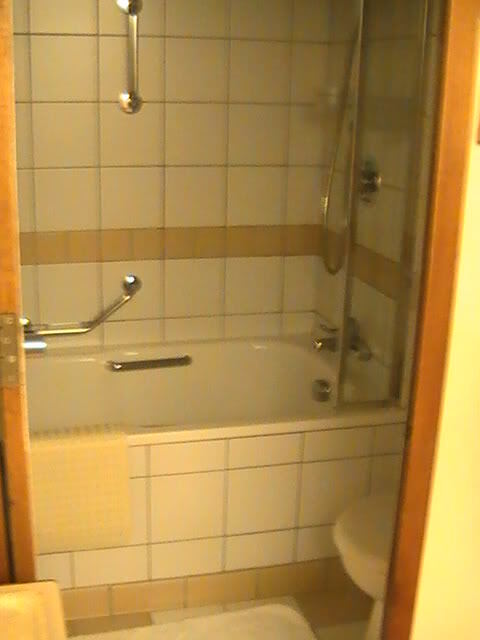 Cabin #2003. Starboard forward. Don't laugh. It was paid for. And the best thing about being so far forward is that you can feel every pitch the ship makes. It makes some people ill, but that pitching and rolling actually comforts me. 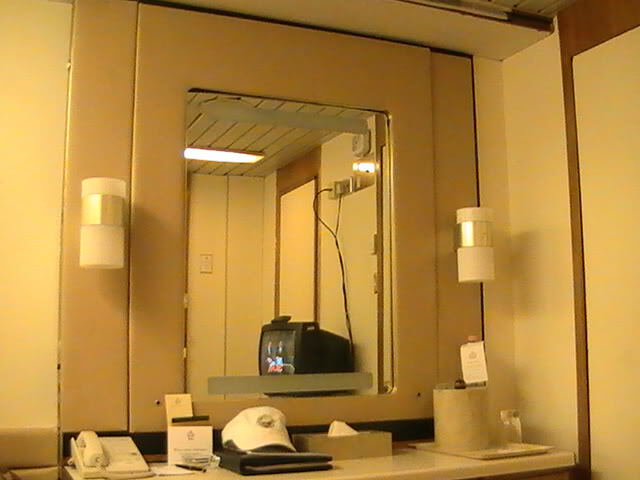 Cabin 2130 port side, aft. Russ Smith wrote: Cabin #2003. Starboard forward. 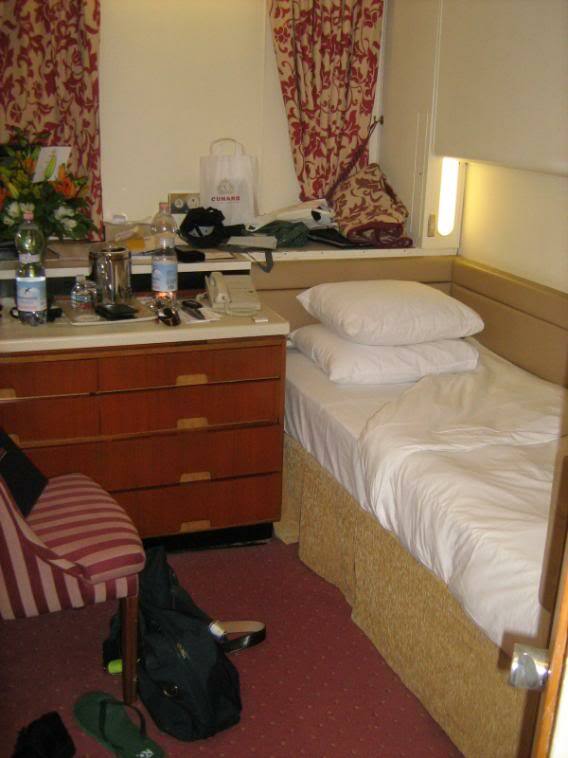 Since the upper berth is folded into the wall in that photo, I assume you had it as a single cabin. I had cabin 2005 (also on the deck plan in your post) as a single for an 8-day cruise in October 1977. A fun ride.